Hollister is a customer friendly company that works to develop products for both patients and healthcare professionals that require them on a daily basis. The company specializes in the product categories of Ostomy care, Continence care, Bowel care, Wound card, and Tube Fasteners. With Hollister, you are getting extremely high-quality, tested products that are geared towards making life a bit easier and more comfortable for the people using them. Hollister began making products for Ostomy surgery patients since back in 1964. Between their custom and highly technical products, mixed with their wide array of accessories, Hollister’s ostomy product line includes hundreds of ostomy pouch options is geared towards helping any and all ostomy patients with ease. Hollister has an extensive continence care product line that includes thousands of options designed to fit your specific needs. With a broad spectrum of both intermittent and male external catheters, the Hollister line of catheters and accessories are advanced to ensure a smooth and easy patient experience. The Hollister line also includes a full assortment of leg bags, collection tubes, and more. The Hollister wound care division applies newly tested technical advances into their products. 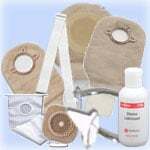 The product line includes wound dressings, products that promote wound healing, and skin healing products.